With the fuel crisis certain to get worse, and an unreliable public transport system, more and more people in Kathmandu are opting for bicycles. Pedal power is actually a faster and more reliable way to navigate through the city's choked roads. However, given Kathmandu's polluted and precarious road condition and the absence of designated bicycle lanes, bicycles are going to have an uphill ride. Rajan Kathet, an avid bicyclist and the founder of Kathmandu Cycle City (KCC) 2020 says: "The lack of bicycle lanes is the most important factor dissuading people from using bicycles as a regular means of transport." The group has been lobbying government bodies to build cycle lanes on newly constructed roads and accommodate cycle lanes within existing road networks. Says Rajan: "Everyone on the road tries to overtake cyclists and we are forced to cycle and sometimes walk our bicycles on the pavements." 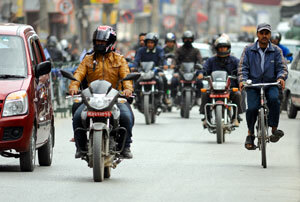 Motor vehicles ply left, right and center on the congested roads of Kathmandu so cyclists need to be extra cautious. Fellow cyclist Amita Thapa Magar has had numerous close calls. "Cycling is especially difficult at night," she says, "there are potholes and the darkness makes it really dangerous." Although there are just 9 vehicles per 1,000 people, Nepal ranks 98th out of 178 on World Health Organisation's list of countries with the highest per capita rates of traffic-related deaths. The reason is the lack of adequate space not just for bicyclists or pedestrians, but for vehicles too. The death of noted biologist and devoted cyclist Pralad Yonzon two weeks ago after the bicycle he was riding was hit by a truck on the Ring Road, has focused attention on the dangers that bicycle commuters face. In 2005 a decision to construct a 44 km long bicycle track in the city after Nepal signed the Velo Mondial Charter and Action Plan for Bicycle Friendly Communities. The charter provided a blueprint and a set of directives to promote bicycle as an efficient, environmentally friendly alternative to motorised transport. Yet, like the proposed bicycle lane from Maitighar to Tinkune which got suspended in early 2000, the plan to build the 44 km bicycle track in the city has been shelved. "Unless there is serious pressure from the people on the Department of Roads, cycle lanes in Kathmandu will still remain a farfetched dream for cyclists", says Shail Shrestha, president of KCC 2020. Despite increasing pressure to build bicycle lanes, Saroj Kumar Pradhan, project manager of the Kathmandu- Bhaktapur Road Extension Project says that building new infrastructures to make the city cycle friendly presents an immense challenge. The city's entire transportation system, he says, will need to undergo a major overhaul in order to accommodate a network of cycle lanes. "It doesn't make sense to just build cycle lanes from point A to point B," Pradhan adds, "each form of transport must complement each other and cycle lanes can be developed systematically." In an effort to reduce Kathmandu's growing air pollution and promote a cycling culture, a passionate group of youth has set out to make the capital a cycle-friendly city by the year 2020. Kathmandu Cycle City (KCC) 2020. The group was formed by Kathmandu University students in 2009 has been actively promoting cycling through various events and workshops. To mark their third anniversary, KCC 2020 is organising an evening cycle rally with the theme 'Get Visible' to shed light on the problems of cycling during night time. "Cycling at night carries unimaginable risks," says Shail Shrestha, the president of KCC 2020. The rally will also be a tribute to Prahlad Yonzon, who died in bicycle accident after being hit by a truck in Balkhu two weeks ago. The rally is supported by World Cyclist Foundation-Nepal, Chepang's Mountain Bike Club, Cycling Association- Kabhre, and Clean Air Network Nepal (CANN). The rally will take place on 19 November starting at 5pm. Bicycles don't just save petroleum, although they are 42 times more efficient than the automobile (and I should know, I've saved some US$600 in petrol this summer alone by riding over 3000 miles on my road and tandem bikes in Madison, Wisconsin, to say nothing about the capital costs of the auto which bring the cost of operating an auto conservatively to 57 cents (US) per mile (I've seen figures as high as 97 cents, for just my summer riding) giving me actual savings of about about 1,300 dollars when I've deducted the cost of bike maintenance,). This doesn't include externalized costs such as roads, pollution, and damage to the environment and disruption of communities. Bikes also play a major role in public health by reducing obesity and related diseases such diabetes, both of which are becoming epidemic. The car also doesn't really save time, which would be the major claim in its favor. 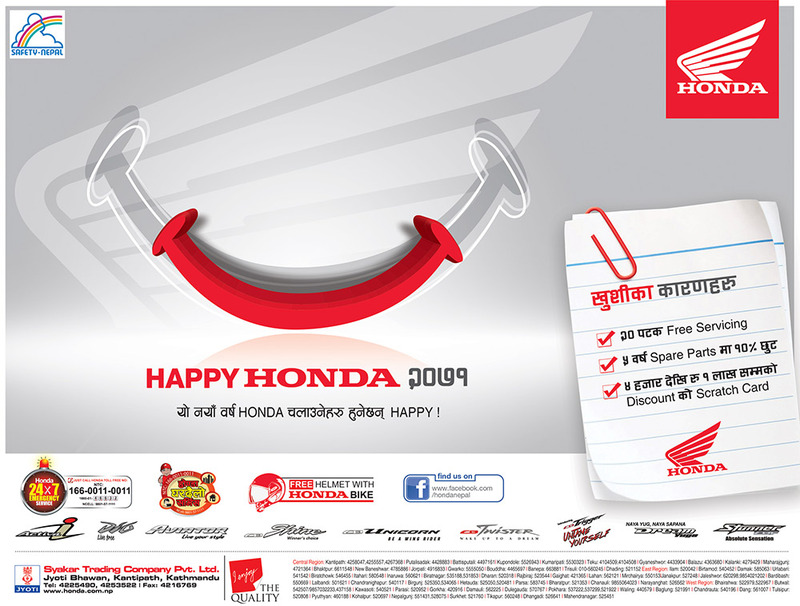 The sum total time over the life-time of the car that you spend working to pay for the car, of sitting in it and looking for parking is actually more than if you had ridden a bike everyplace, again under ideal conditions which don't exist in Nepal. I have always felt that people are paying a kind of feudal due for the car of a couple days a week of labor to the landlord, in this case financial capital that underwrites automobile manufacture and oil production. Much of the debt of countries of North America and Europe is due to vast amounts of wealth exported to pay for energy for auto transport. Even China's balance of trade became unfavorable for the first time several years ago due to import of petroleum. The situation must be even worse for Nepal, and furthermore it is a cost that generally is being transferred from the urban elites to Nepal's rural population, the major productive sector of the country. The bicycle besides saving petroleum, time, and national wealth contributes to public health. A study that came out last week from the CDC in the United States said that people should be riding a bike an average of an hour a day to cut into the obesity epidemic that now has become epidemic in the United States and the world. The human body requires work to be healthy, and a study of Pacific islanders has shown that the introduction of the automobile is associated with obesity and obesity-related diseases such as diabetes and high blood pressure. The increasing car per person ratio in the United States has a close relation to obesity and related diseases. In my own experience I have found that the few times in my life that I have used an automobile I feel weight start to accumulate on my body, and when I bike again it disappears. This is particularly true among South Asians, about whom a report from the British national health service this week has shown to be so prone to diabetes that the body-mass index should be set lower for South Asian than for European populations. The irony is that instead of getting out and walking or riding, people go to the doctor to get medications, which in addition to their inconvenience add significantly to the cost of the car. I might add that because diabetes alone shortens human life by an average of 15 years, the bicyclist can be given at least an extra 15 years of surplus time saved. Regarding car accidents, you have ten times the chance of being killed in a car than on a bicycle. If any other form of transport killed, disabled and injured a fraction of the number of people as the auto, it would be shut down immediately to find out what is wrong. One reason that it is not done so is because incidents with the car are framed as as individual rather than social costs, even though ultimately they are transferred as a whole to society. Furthermore the accidents generate market value in repair and replacement costs of the car, medical and funeral costs, and so forth, so in a twisted sort of way the stock markets become richer even as the society becomes poorer, encouraging the tragedy and waste of the auto. Create separate roadway for the motor cycle on the existing roads like Jawalkhel -Singadurbar by making elevated pavements half eitherway on the road to remove congestion by the unruly motor-cyclists. Cover the Tukucha by elevated pavements to allow access to the rain ground water for cycle and pedestrians all along. Bir Sumsher covered the Tukucha 100 years back on his palace compound . At this age of technology if we cannot do any improvement ;mu dear young boys commit suicide, jump out from the window. Open the Maitighar Road Block. Coplete the riverside roads. Improve the cross junctions. Provide more bridges to link Patan with Kathmandu. Rationalize the Parkhals around the residenses in the resisencial areas. Discipline ourselves traffic-wise. Start from KG. Then live happily for years to come. Flaws to DG's comments: Besides the fact that none of that will happen, (1) increased roads lead to greater congestion because you get even more blockage in other locations that aren't built up,which in turn back up into "improved" areas, (2) the more infrastructure you build, the more maintenance cost of the infrastructure is incurred. Currently, in the United States, for example, with growing debt the country's infrastructure is beginning to crumble. (3) If you know anything about the words "peak oil," you will know that there is no future in a transport system based on the use of petroleum, particularly for small countries trying to bid against large ones, and that not just boys will be committing suicide but the whole society will do so when this road is taken. Why not put social wealth into something with a future and save your cities, land and social space? There are alternatives which are much more comfortable and enjoyable, much faster, and have much less impact on the environment. Take as example cities such as Amsterdam, which have designed themselves around the bicycle and sane forms of public transport, and thereby saved their unique and livable character? Even in my current city Madison, Wisconsin, which has four months of snow, there are more bike trails, paths and lanes than all the auto roads in the much larger Kathmandu Valley and more bicycles than automobiles. And not only that, you can take bike trails across country for hundreds of miles in all four directions. It is all there because people have organized and fought for it. We also sell more bike related products from our state than all the other 49 states of the United States put together. Investing in public transportation is a better way to go than building roads. Although Kathmandu feels a lot congested with the massive inflow of newer vehicles and an immediate response is to build more roads. But sustainability wise, I would say no. I recently visited Delhi and was impressed by the state of the environment there. The CNG public transportation and the new metro train is the way to go in order to build a new international metropolis. Given that Delhi seems to have way better organized roads than Nepal, but more and more people opt for the subway, as it is faster, convenient and reasonably priced. Although I never rode the eco friendly buses, metro and autos (runs on CNG) were my best friends when I was there. And now the metro connects you to airport too. I was lost in London couple summers ago, staying in a boarding house then with a family friend. The public transportation system is extremely commendable, and would took you to the smallest of alleys in London literally. A week of bus and subway passes, I could as well be a bus tour guide. Infant I ended up showing places to my friend who had been living there for two years. Jump to Northern California or St. Louis, well YOU NEED TO RENT A CAR and there is no way out. A 5 minutes car ride will take an hour in the bus, and people (esp. a Ben Franklin) say "time is money," and it true in the most capitalist country in the world. You plan to be here for some time, well you got to buy a car, you got to have insurance, you got to fix your car, .....and you got to overwork to make money to afford all this. Esp. now, you are lucky to get a minimum wage job, with or without a college/university degree. Comes East to Boston, well the public transportation got your covered. Down at Salt Lake, they are catching up with train. Would I want Nepal to be similar New Delhi, London, Boston or San Francisco? Well you should know my answer by now...I would even say suggest to increase taxes on private vehicles, and put that money to build public transport. I am not advocating that we should not increase roads, we should but first there are other priorities, like public transport and building roads (to connect nooks and corners of Nepal not necessary inside city). I was in Arughat Gorkha last summer to build a school building. I always believed that education is the basic element of development (at least in theory). But well it turned out to be a bit too complex when put in practice. The villages that are connected by road are a lot more developed, the flow of information, ideas and technology is a far greater than a hamlet/village with a walking trail. Without proper road, may be a school cannot realize its mission to the fullest. So invest in roads outside the capital, connect the villages and towns all over the country where possible. Kathmanduits must sacrifice the luxury of owning cars for the development/growth of Nepal. And it is not shameful to ride a bicycle or bus. Car should not be a status symbol but must be taken as a means to achieve a practical end. Buy cars if and only if you have the practical use for it, not because your next door neighbor got one recently. And people have you ever hiked on top of one of the hills and contemplated, how much have you ruined one of the most beautiful valleys in the world? If you can't undo it, please don't add. When ignorance is bliss ,it is folly to be wise. Thank you. We are also cyclists. I say only one thing: KUOTA KUEEN. Yeehah, baby. Oh Stephen, you are such an ecologically minded person and you saved six hundred buckeroos ... Some foreigners in Nepal just keep me cracking up. Gee, Stephen, 600 dollars do not even buy me one Campagnolo wheel. And on an even more negative note: riding 3000 miles in the KTM valley would find me for 2 months in an ICU, or 6 feet deeper. 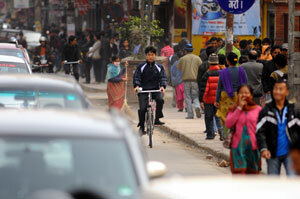 I wouldn't ride a bicycle (or motor-bike) on the streets of Kathmandu. It is just too risky. FromGhurmi to Kurintar Con Con Quest. All exclusive to the inpats - out pats klubs. 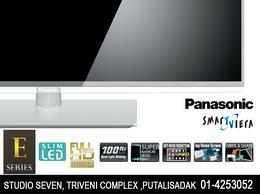 Look sideways ,up and down. Look right, look left look up behind . This is our request for trheir security. Every day we hear about the missing links of Nepal Transport ation hazards. Rollreally down to Khicha Pokhari. Built by a Nepali Bhote Kami of Maitidevi. One dark ,two whites and four khakis. Who the heck are you to criticize Stephen? Anyways, bicycling will sure-fire find out the safe haven in Nepal. It is going to be the greatest conquest of human beings, at least in the Occident. Just a few months back my municipality has managed a bicycle stand and many streets are becoming one way traffic to facilitate an easy ride for the inhabitants to make an outing in family when downtime comes. Things change faster than you think!?! Sorry to be late but I am just putting on some EPO pads and enjoying a CERA shake. It's off with the TT bike later. See you around.